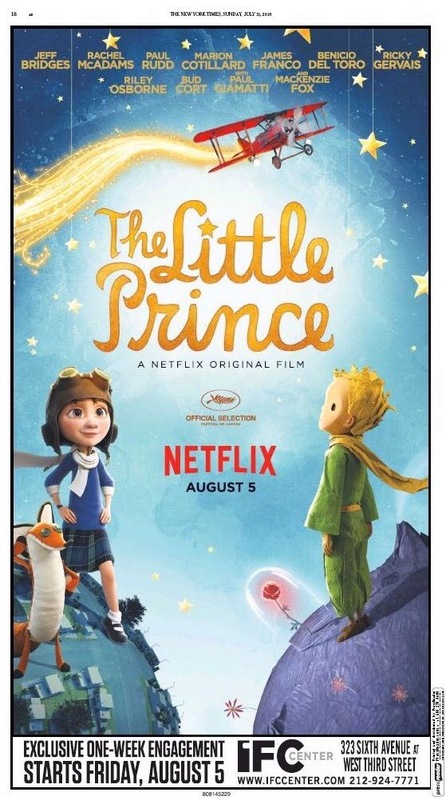 UPDATE: ‘The Little Prince’ gets special screening with the director in Yonkers Sunday, along with theatrical run and Netflix premiere (Video) | Will You Miss Me When I'm Gone? This entry was posted in Interview, lohud.com, Movies, News and tagged Alamo Drafthouse, Antoine de Saint-Exupery, Hastings-on-Hudson, IFC Center, Kung Fu Panda, Mark Osborne, Netflix, Paramount Pictures, screening, The Little Prince, Yonkers. Bookmark the permalink.